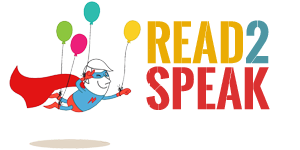 Read 2 Speak (beta v.) | Free English Lesson with Felix via Skype! Free English Lesson with Felix via Skype! Do you want to learn English? Are you a Beginner or Lower-Intermediate student? Have a look at this special offer! This Sunday, February 9th, our teacher Felix will give a free Group lesson for 5 students via Skype. Do you want to join it? It’s completely free! You can start learning English and meet new friends who have just started this new experience, like you! The lesson will take place at 11 am in NY. It’s 2 pm in Sao Paulo, 5 pm in Madrid and 6 pm in Istanbul. Click here to find out the right time-zone in your country. First five students who fill in the below form can attend the lesson! Hurry up: it’s your opportunity to start speaking English!